We are excited to announce that Balance Hair Spa has 2 more Deva Inspired stylists. On June 14th & 15th Whitney & John attended the Deva Curl Academy in New York. The two day classes covered all things related to curly hair. From cutting to color techniques that help to enhance your curls. Balance Hair Spa now has 11 Deva inspired stylists woking in our salons. Balance Hair Spa Team Attend Fashion Focus in Baltimore. Fashion Focus is an industry trade show brought to us by CosmoProf. Our team took the time to sit in on class rooms and workshops this weekend, all designed to further their career and talent in the beauty industry. We were able to get some positive motivation by Geno Stampora, Formal styling techniques from Martin Parsons, and cutting techniques by Nick Arrojo. After the weekend we all returned to our work more energized and ready to share our experience and knowledge with our clients. We always enjoy this show and also enjoy seeing old friends we have met along the way. We are so excited to see that our stylist Keyana Cellucci is featured in the September 2014 issue of Fitness Magazine! Keyana was honored to have done the editor's hair at a ColorProof event in New York this past spring. As you can see, she made a great impression! Come in and meet Keyana and see why she is so amazing. 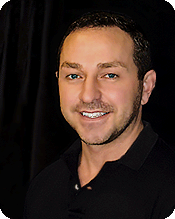 Balance Hair Spa Welcomes Christopher Darring as guest Executive Designer. We are proud to announce the newest member of our team. Christopher Darring is now a Guest Executive Designer at Balance Hair Spa. Christopher comes to us from the HOPE for Beauty education center at Tru Beauty Concepts, Where he is the Education Director. His work at HOPE has allowed him to train with some of the industry's most talented stylists including Martin Parsons, Beth Minardi, Tabatha Coffey, & Charlie Price. He has received extensive training on many of the major professional lines of products and is certified in Hotheads Extensions. Christopher McCully was born with a passion for hair! Growing up in the first state with an artistic family, he was introduced to art and music at a young age. He knew he was bound to do something creative. After struggling to find his calling, Christopher felt even more compelled to do something he loved. Not only did he find love, but a passion to help others grow within our industry. Building a career as a stylist, he’s been able excel in the arts of dressing, manipulating and folding fabric. He has been able to build great relationships with fellow hair stylist alike and has worked with sought after Hairstylist. While residing in Philadelphia, he’s taken on the roll as HOPE Director of Education. Before moving to Philadelphia, Christopher was a successful session stylist in Delaware. Now facilitating education at HOPE for beauty he’s able to embrace his calling and help other stylist skyrocket within the industry. "If you think you know it all, you need to get out of this industry! You can never stop learning, that’s how you grow." Christopher loves his work with HOPE, and like all artists in hair he always enjoys working with clients. He will be working with us on Tuesday evenings taking clients from 4pm to 8pm. Call us at (484)872-8457 to set up an appointment with him. Welcome Edward Shaffer, LMT, our newest Massage Therapist! Edward is a Licensed Massage Therapist and a graduate of the Central Pennsylvania School of Massage in State College. He is Nationally Certified in Therapeutic Massage & Bodywork and is a member of the Associated Bodywork and Massage Professionals. While practicing massage for over 15 years at his own business, Edward has continued his education in different massage modalities, including Deep Tissue, Sports, and Myofascial Release. Each session he performs is unique and designed specifically for the clients’ needs. Finding the correct modality for each individual and their personal preference is Edward’s personal goal. The most rewarding part of his work is seeing the positive results and affect it can have on the lives of others. His passion for health and fitness has led him to believe, ”If you have high demands for your body then you need to give back to it and treat it right.” Massage is a great way to do just this! Edward is taking appointments on Fridays. To make an appointment with him, call us at (484) 872-8457 or book an online appointment request. 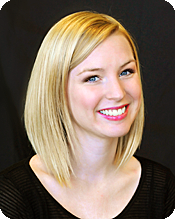 Welcome Keyana Green, our newest Designer! Keyana Green joins our team from the Pulse Beauty Academy, a Paul Mitchell school, where she is an educator and cutting specialist. She specializes in all aspects of hair design and color, and is our first designer trained in sew in extensions and natural ethnic hair. Wednesday 4:30 p.m. to 8 p.m. Occasional Saturdays 8 a.m. to 3 p.m.
To make an appointment with her, call us at (484) 872-8457 or book an online appointment request. We are excited to announce that four of our stylists — Daniel Fike, Darlene Firlein, Jennifer Wheat and Megan Maloney — are now Deva Inspired Stylists. Each has earned this prestigious certification by completing the Deva education program in New York City. Daniel, Darlene, Jennifer and Megan join Owner/Creative Director Thomas Crisp and Artistic Director Trisa McAveney as Deva Inspired Stylists at Balance Hair Spa in Exton. The DevaCurl Cut is a specialized, individualized cutting technique for naturally curly hair, performed only by certified Deva Inspired stylists. From slightly wavy to corkscrew curls, the Deva cut will encourage, enhance and beautifully control your curls. 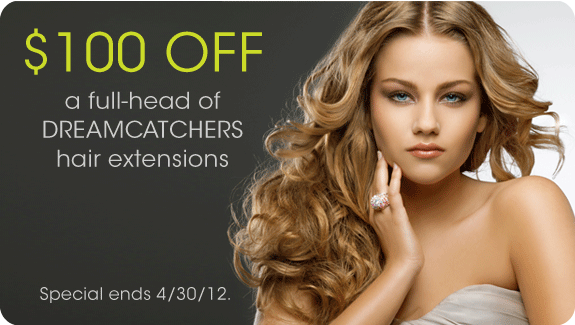 Deva cuts are perfect for any length hair on women, men or children. Deva Inspired Stylists will dry cut and sculpt each curl individually to follow your curl pattern. After the cutting, each guest experiences a Deva cleansing, conditioning and dry with DevaFuser to style, while being educated about the DevaCurl system. Depart from the ordinary with the exclusively designed Deva hair care system for curly, wavy and chemically processed hair. Deva's interchangeable product line allows for individuality, simplicity and the freedom to address your hair's specific needs. Please note: Guests scheduled for a DevaCurl Cut must arrive at their appointment with clean, conditioned and naturally air-dried hair so that Thomas can study your curl or wave patterns. DevaCurl Cuts begin at $75 and up. Schedule your appointment now by calling (484) 872-8457 or submit our online request form. 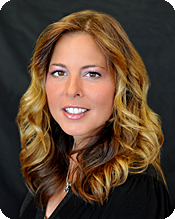 We are excited to announce that Executive Director Trisa McAveney is now a Deva Inspired Stylist. She earned this prestigious certification by completing the Deva education program in New York City. 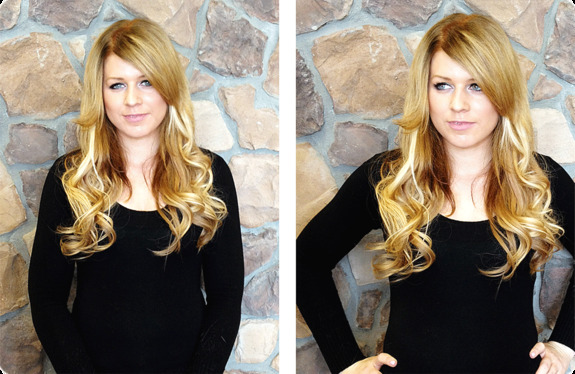 Trisa joins Owner and Creative Director Thomas Crisp as the second Deva Inspired Stylist at Balance Hair Spa in Exton. Trisa or Thomas will dry cut and sculpt each curl individually to follow your curl pattern. After the cutting, each guest experiences a Deva cleansing, conditioning and dry with DevaFuser to style, while being educated about the DevaCurl system. In keeping with our promise for color and design excellence, Balance is proud to call Trisa McAveney, Executive Designer, a new member of the Balance team. She is a local, popular stylist/colorist and has been creating looks from behind the chair for over 13 years. 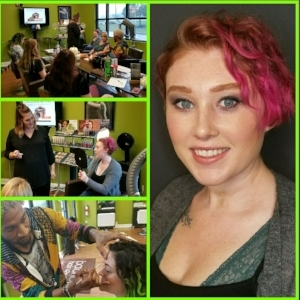 With continuing education across the spectrum of hair artistry, Trisa combines her experience, knowledge and passion to design the perfect look for her clients. She specializes in current color techniques, fresh hair designs and loves to do formal styling and updos. Trisa has completed advanced training and education with the world-renowned Toni and Guy, Vidal Sassoon Academy and Redken Exchange. As a member of the Balance team, she constructs and executes head-turning, fashion-forward designs and colors that will fit your personality and lifestyle. Trisa is now taking appointments. Call us at (484) 872-8457 or submit an online appointment request to schedule. We are excited to welcome our newest team member, Designer Judy Sanislo! With over 7 years of salon experience, Judy has a creative, artistic eye and extensive knowledge of new styles and trends in cutting and color. She is an American Board Certified Haircolorist — a prestigious title earned for expert color knowledge and service excellence. Judy is now accepting appointments. Call us at (484) 872-8457 or submit an online appointment request to schedule. 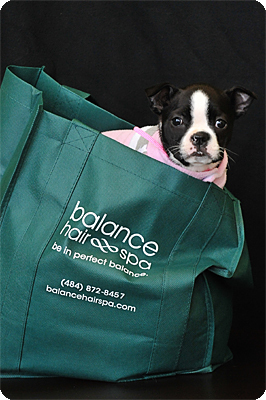 Meet the newest (and perhaps the cutest) member of the Balance Hair Spa team! Her name is Sweetie Darling and she is a mere 13 weeks old. She is a purebred Boston Terrier puppy and prefers to be called just "Sweetie" (following in the steps of the great Cher and Madonna). Thomas and Biff adopted Sweetie last week from a Lancaster County breeder. "She was the smallest and the quietest of her brothers and sisters. We fell in love with her instantly," says Biff. Sweetie is a playful pup with a calm, gentle and loving disposition. Most days, you can catch a glimpse of Sweetie at Balance Hair Spa. She likes to sleep in her bed and visit with our guests between her hours of beauty sleep. Welcome Sweetie! Sweetie, modeling her fashionable pink hoodie, pops out of a reusable Balance bag. Sweetie and Biff strike a pose. We are so excited to welcome Siobhann Kobylarz, Designer, to Balance! 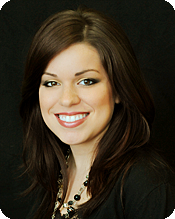 She is a popular, talented local stylist/colorist and we're proud to call her a member of our salon team. Balance Hair Spa is now a Certified Deva Concept Salon! Our Owner and Creative Director Thomas Crisp has completed the Deva education program in New York City and earned his certification to become a Deva Inspired Stylist. Thomas will dry cut and sculpt each curl individually to follow your curl pattern. After the cutting, each guest experiences a Deva cleansing, conditioning and dry with DevaFuser to style, while being educated about the DevaCurl system.